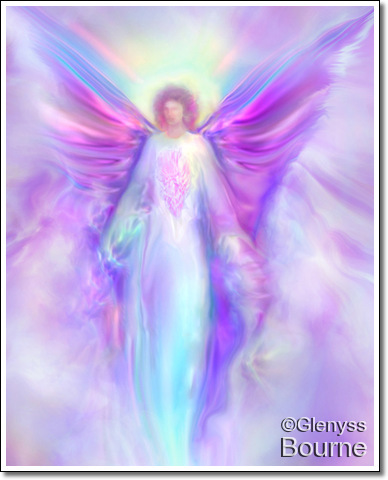 Thank you SO much for the stunning angel pictures! They are amazing and I just can't wait to get them framed and put up in my house. 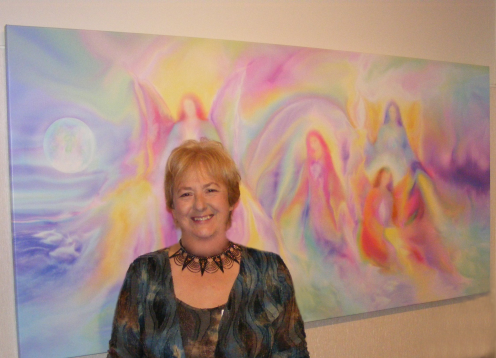 I have shown them to everyone who has come over and my best friend was so enchanted by the canvas picture of Archangel Raphael that she had goose bumps all over her when she looked at it. She said it was so beautiful it just left her breathless. Your pictures are truly stunning. Thank you again and a very happy and blessed 2010 to you. Hello! I just wanted to keep in touch. I purchased a picture from you earlier this year. 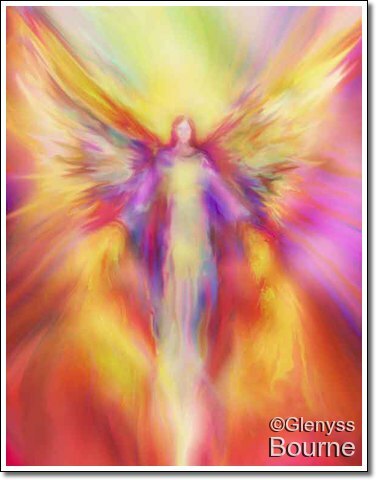 It was of Archangel Uriel, anyway to refresh your memory, I was diagnosed with m.s. last fall. It was a terrible blow to my family and I stumbled across your ebay site and had to have one of your pictures. To be honest I was compelled to purchase one. I went for a follow up appointment about a month ago and it is gone. There is no lesions present on my mri, and they have stopped all of my medications!!! I don't know how it happened however I felt the need to say thank you! Keep up the great work. THE CUSTOMER HERE IS WRITING ABOUT AN 8X10 PAINTING THAT SHE BOUGHT THROUGH EBAY AND SUBSEQUENTLY PURCHASED AN SaRCHANGEL MICHAEL PAINTING. "The painting i received took my breath away it's hanging at the foot of my bed as the last thing i see at night and the first thing i see in the morning. Hope Michael arrives soon!" Words can't describe how beautiful my painting is or how much it means to me. I can't wait to have it stretched so that I can put it on my wall. 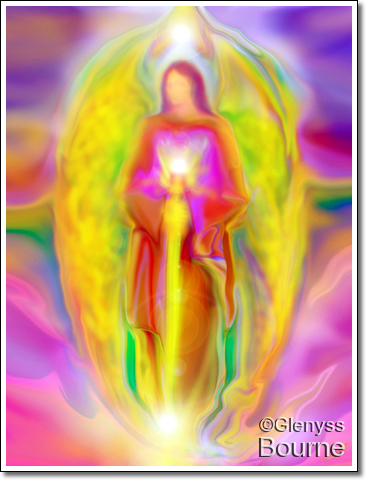 You are truly talented and have a real gift for reading the angels. 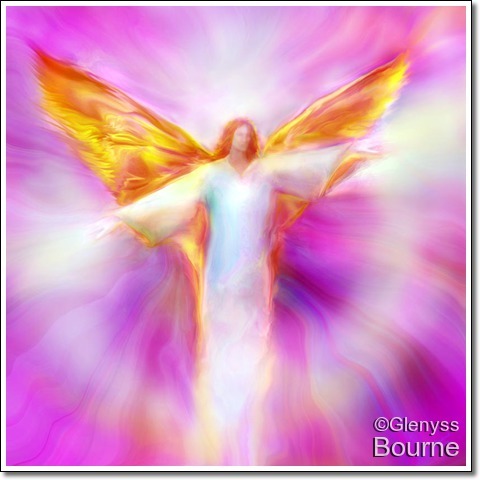 Your message of protection is evident in the beauty of the angel that bestows it. Thank you also for the book and your angel blessings. I took the book with me this past weekend when we went to visit my husband's parents. I think your angel blessings worked because for the first time we sat down and talked as a family. We are a rather dysfunctional one, but then again I am starting to believe that all families have a bit of dysfunction tucked away somewhere. At least we are looking for a solution to all our problems now. That's a start isn't it? Also, today for the first time in several months my husband is feeling a little better. That is really a blessing. I think he has been depressed for quite some time. I am interested in the Flower Remedies. Can you use them with prescription medications? Maybe someday I will try them. From looking through your book I feel that I need Well-Being and Grandmother Moon Elixir. At least that was in the vibes I was picking up on. I really believe in angels now. I have been on a whirlwind for the past two months and I feel as though God and his angels are guiding me somehow. Have you ever felt this way? Thank you again, so much, for the painting. I will cherish it always as a reminder of the journey that I have been on with the angels. I thought I'd let you know I recieved the painting today and it is absolutely glorious. Thank you for creating such inspirational artwork. You are truly blessed. I will be ordering 5 more pieces on canvas when I get back from my weekend away. I feel my clients will certainly purchase these. They are magnificent. I bought one of your paintings off Ebay and had to let you know how beautiful it is! I feel comforted just having it in my bedroom and I plan to purchase more (including one of Archangel Michael for my Reiki Master). Thank you so much for making this beautiful artwork available and affordable. 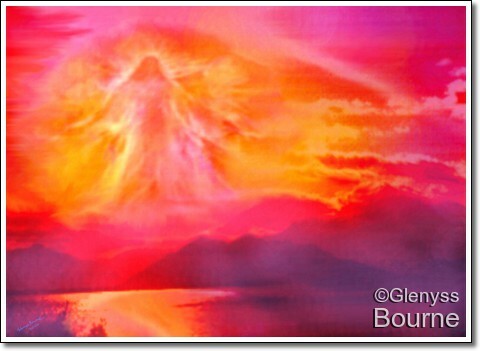 Place this Painting in any room and it will cleanse,uplift and increase the flow of positive energies. 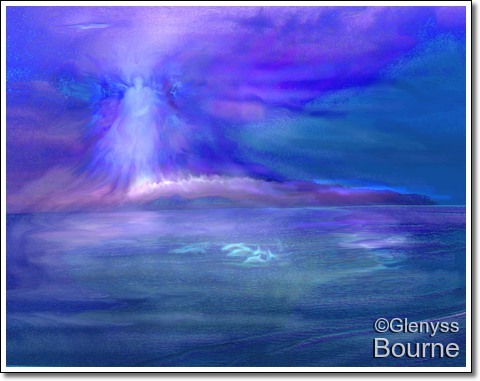 In late 2007, Glenyss was interviewed by Colleen Bate for issue 11 of the magazine Digital Reproduction. Click the image to see a PDF copy of the article.